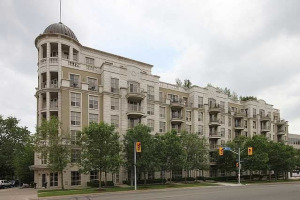 Welcome To The Prestigious Kingsway Condominiums, Located A Short Walk Away From Old Mill Subway Station, Humber River Parkland & Old Mill Restaurant; Close To Kingsway And Bloor West Village Shops & Restaurants; And Just 20 Minutes From Downtown & Airport. 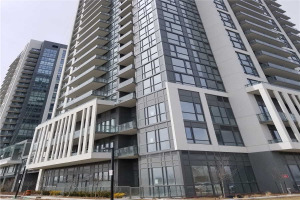 This Beautifully Appointed 2+1 Bedroom Suite Has Sunny South Views Overlooking The Manicured Gardens, 1266 Sq Ft Of Living Space, 9 Ft Ceilings, And A Generous Master With Ensuite Bath And Walk-In Closet. The Den Is A Separate Room That Could Serve As A Third Bedroom, And The Suite Comes With A Locker And Two Parking Spots. Building Facilities Include Concierge, Indoor Pool, Exercise Room, Guest Suites And Visitors' Parking.